I'm surprised they didn't move it to a Falcon Heavy. The current version of Falcon Heavy has never flown. The contract was for Falcon 9, and there is no reason it can't launch on Falcon 9. I'm glad someone else had the bravery to mention this possibility. Comga complained, stating that ASAT concerns were not cogent to the topic and did not belong here. My post re: ASAT avoidance and further reply to Comga were deleted. 1. GPS III launch services RFP, the file "07 Instructions to Offerors" included the insertion orbit parameters, see attached screenshot. At least at the time of the RFP the required orbit is as we expected, a transfer orbit. The satellite mass is not included in the final RFP (relegated to Mission Requirements Annex, which is in the bidder's library), but the first draft has it as 8,390 lbs. 2. There has been several modifications to the contract, which can be seen from the Federal Procurement Data System. Most notably on 8/17/2018, modification P00005 added $5.6M to the contract. So with Iridium slipping into 2019, this launch closes out the year for SpaceX. And all together, for 2018, SpaceX will have launched 21 missions (including the Falcon Heavy Test Flight), which breaks the record for the most SpaceX missions in a single calendar year. - 23 cores launched, 230 full engine missions. Anyone have a T-0 for the new launch date? about four minutes earlier each day. Did some calculations. Required delta-V from a 200 km circular orbit to 1000x20,181 km is 2184.8 m/s (2071.3 m/s for the perigee burn and 113.5 m/s for the apogee burn). 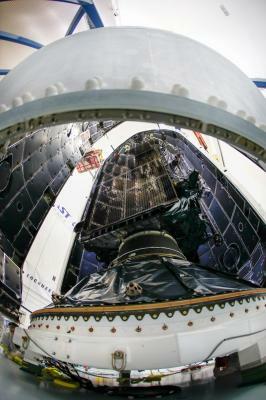 I estimate the extra delta-V to get into 55° orbit from Cape Canaveral is 260.2 m/s. Total is 2445.2 m/s. The extra delta-V to get into GTO is 2454.6 m/s, so the delta-V's are very similar for these missions. Expendable Falcon 9 GTO performance is 8.3 t and 5.5 t for droneship landing. So for a 3.8 t payload, a reusable mission gives way more performance than necessary. I don't see any need for an expendable, unless the boiloff rate of LOX from the second stage causes a significant loss of performance. If we do the higher delta-V, but shorter time to the second burn, the perigee burn is 220.0 m/s to 1000 km apogee, followed by a 2059.2 m/s burn at apogee to raise to 20,181 km. Total delta-V is 2279.2 m/s + 260.2 m/s = 2539.6 m/s. For an expendable mission, I estimate this reduced the payload to 8.0 t. That's only a 0.3 t difference, so reusable performance may reduce to 5.2 t, still way above what's required. The Argument of Perigee is specified at 270 deg. Should the 2nd stage ignite 3 times? Yes, that is my expectation. First burn gets into LEO, second burn raises apogee and then a third burn at apogee. has orbit as "GTO: 6700". Does this mean they are aiming for MEO of 6700 * 20181 km orbit ? Is that too much for droneship landing? 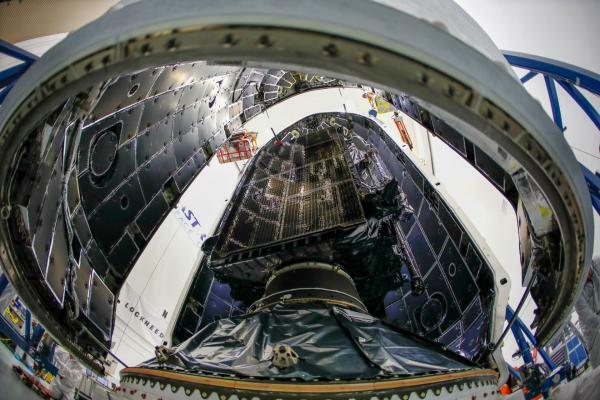 Via @USAirForce: First GPS III satellite, AKA “Vespucci,” encapsulated in fairing on 12/7 ahead of #SpaceX Falcon 9 launch NET 12/18. 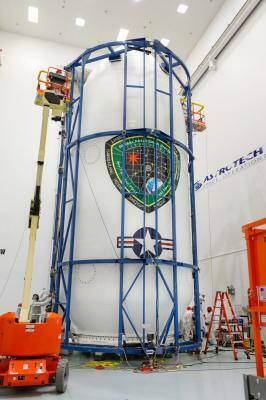 This is the company’s first GPS mission and is expendable, so there will be no booster recovery. 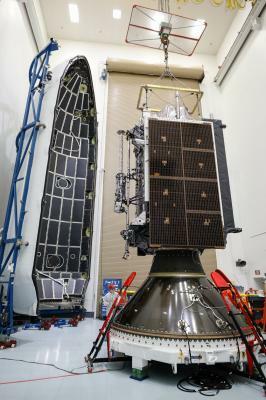 More pics from encapsulation on Facebook (credit: Lockheed Martin). 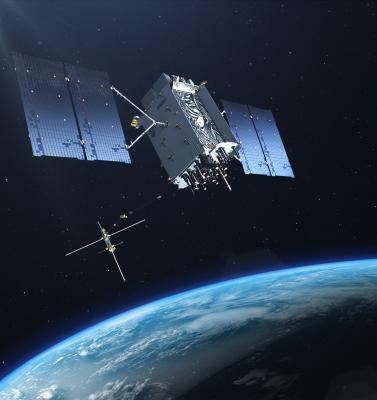 The U.S. Air Force’s Lockheed Martin-built next generation GPS III satellite on orbit. Rendering portrays GPS III Space Vehicles (SVs) 01-10. 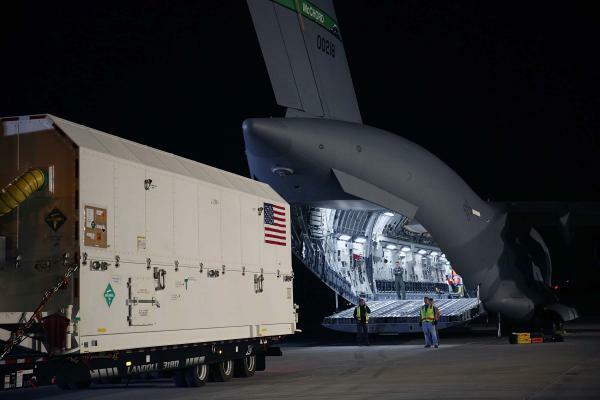 In August 2018, Lockheed Martin shipped the U.S. Air Force’s first next generation GPS III satellite to Cape Canaveral for launch. 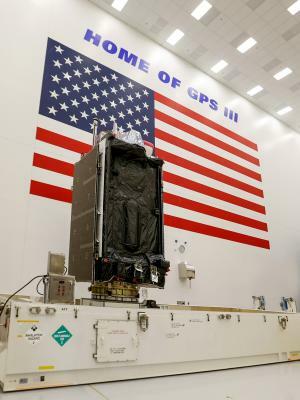 GPS III Space Vehicle 01 (GPS III SV01) had previously been in storage since the Air Force declared it “Available for Launch” (AFL) in Sept. 2017. 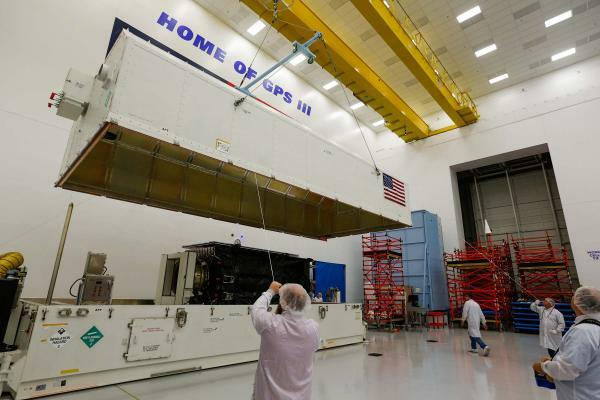 GPS III SV01 is pictured here being loaded into its shipping container at Lockheed Martin’s GPS III Processing Facility clean room near Denver.